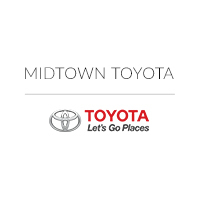 At Midtown Toyota, we are Chicago Toyota dealers who are proud to offer a wide selection of top-notch, new Toyota cars near Des Plaines and Oak Lawn, IL. 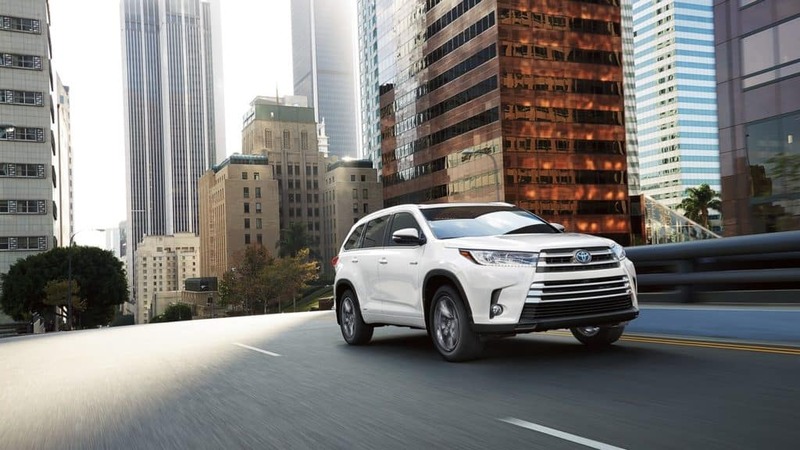 When it comes to finding an SUV that offers the space, utility, and performance Chicago-area drivers like you seek, the Toyota brand is a strong competitor with models like the 2018 Toyota Highlander. This three-row crossover SUV is a standout in its class, but it’s not without rivals, such as the 2018 Dodge Journey. The 2018 Toyota Highlander has just about everything savvy and modern SUV drivers look for. The ride quality is exceptionally comfortable, thanks to supportive, ergonomic, and cozy seating, and quiet with virtually no interference from road noise. Maneuverability and performance are also strong suits. Even though the 2018 Toyota Highlander is a larger vehicle, you can rely on its responsiveness for confident highway driving and overall pleasant everyday drivability. On top of comfort and easy driving, this model is also a feature-rich vehicle across all seven available trim levels, which all come standard with the advanced safety traits in the Toyota Safety Sense bundle. For an in-depth look at all this model offers, visit our Chicagoland Toyota dealership. A viable competitor to the 2018 Toyota Highlander is the 2018 Dodge Journey. This midsize SUV also offers roominess and comfort for drivers and passengers alike, which makes it a ready road-trip vehicle. It also offers up a relatively consistently quiet ride. There are also many opportunities for personalizing this vehicle, starting from selecting your pick from four trim levels, two engines, and several package options. While these two models share strengths, the 2018 Toyota Highlander takes the edge, however, when it comes to utility and drivability. Whether you need to haul something off-road or comfortably maneuver in a parking garage, you will enjoy a powerful engine and a refined and responsive driving experience in the 2018 Toyota Highlander. The 2018 Toyota Highlander also impresses when it comes to its safety profile. Each trim level comes standard with a suite of impressive safety aids, whereas the 2018 Dodge Journey makes many of these features only optional. If you’re weighing either of these capable, family-friendly vehicles, we welcome any questions you have about the 2018 Toyota Highlander. We’re happy to provide the answers you need to help you make an informed decision. If you’d like to test drive the Toyota Highlander with our team of Toyota dealers in Chicago, call or stop by soon.